Here at Mother Lode River Center, we welcome all types of travelers – including those who enjoy traveling alone! All of our activities and programs move at a scheduled pace, allowing for lots of interaction with other guests, without seeming forced. All of your logistics will be taken care of by our staff and guides, enabling you to focus on the number one priority – YOU! I want to thank you for the awesome trip I had at Mother Lode. I had a terrific time and you guys were really fun. 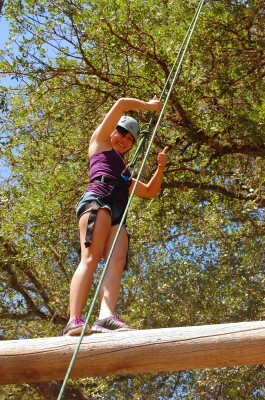 Climbing the wall, walking across the log and going for the leap of faith was a great experience. The food was very yummy and camping out in the tents was a blast. I hope you guys had as much fun as I did! Connect with nature, with new friends…with Mother Lode! Solo travel takes many different forms. Perhaps another travel partner is unavailable? Maybe you are craving some quiet and solitude. For these simple reasons and many others, solo travel has become increasingly popular in the last few years. Here at the River Center, we will design a trip that achieves whatever goal you have in mind for your adventure or vacation. Solo travelers are some of our biggest fans! From the moment you book your adventure until the moment you return home, you will be in good hands. Our helpful sales staff can expertly design an itinerary to meet your needs, allowing you to craft your ideal solo vacation. All of the activities offered here at the River Center are designed for groups. As a solo traveler, you will have multiple opportunities to get to know your fellow diners, paddlers and ropes course climbers! Here is a brief description of the types of group configurations you will discover while visiting Mother Lode. When making decisions based on whitewater raft configurations, we select the size of the boat based on the entire group size. 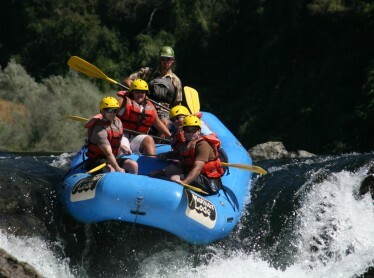 Every boat will be guided by one of our professional whitewater guides, so you will likely be placed into a boat with 5-7 other passengers, including the guide. 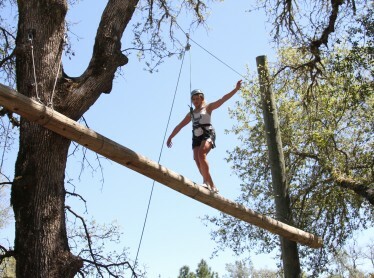 We require a minimum of ten persons booked to run a ropes course activity. All of the high ropes course elements (except the Pipe Dream) are solo challenges, meaning you will be in a harness on belay, tackling the element as an individual. The Pipe Dream is a two person element, so you will be paired up with whoever is next to you in line. 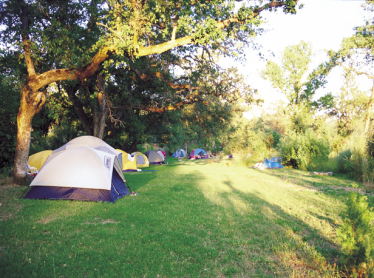 Our facility is fashioned to accommodate lots of different types of groups overnight. Therefore, as a solo traveler, you are able to isolate yourself for a little peace and quiet at the end of the day, or you are invited to join in the campfire or s’more sessions that typically occur on our main beach around dusk! Swap stories with fellow travelers, compare s’more recipes and enjoy your evening – whatever you desire, it’s ultimately up to you!